Mods.to - One of the biggest game mods sharing platform. Mods.to is the best place to store and share your own mods files. We accept only open source game mods files. You are always welcome upload and share mods for games like Farming Simulator 17, Pure farming, Cattle And Crops, American Truck Simulator, Grand Theft Auto 6, Euro truck simulator, Fallout and other! 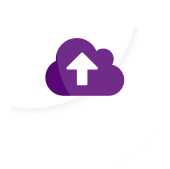 All registered users who want to share their mods will get unlimited disk space for mods. All players gets unlimited speed to download mods! Don't wait and share mods with other players! More mods more fun!